You can find the write-up of the results here on the FQP site. Note while the list above shows those that operated in the log, many thanks to Ron KP2N for all his efforts to organize this effort. Ron suggested we switch to the Multi-op, Multi-transmitter low power class and it was a great choice obviously. I’m not sure if it was just a logging error that Ron did not appear but regardless; that was an oversight. If you review the original article where Bob N2ESP reported on the 2018 FQP effort, Bob highlighted that we keep score less by how many contacts we make and more by how many new contest ops we help. Bob also mentioned Dave KR4U’s 6 minute slow CW QSO. What makes this even sweeter is even with our focus on training, we still won in a very close race. That tells me that mentoring new ops and winning are not mutually exclusive. 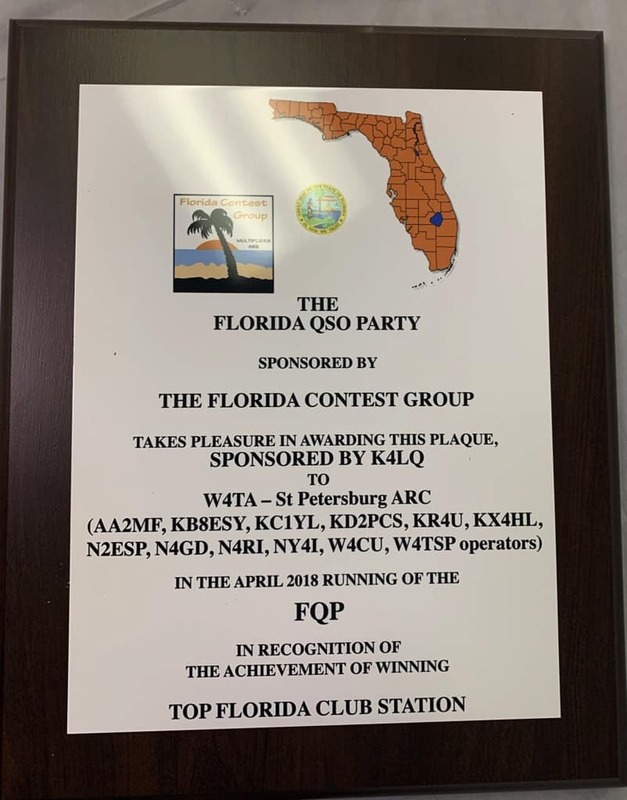 But now for our next trick…the 2019 running of the Florida QSO Party is on April 27th starting at Noon. We plan on operating both CW and SSB stations. FQP is unique among contests in that the hours are reasonable to still do other things on the weekend. The contest runs from, Noon Saturday until 10:00 PM and then again on Sunday from 8:00 AM until 6 PM. We need operators! If you like operating at Field Day and want to have fun with your fellow hams, please plan on attending. Please check the signup sheet here and email contesting@sparc-club.org with your desired time and if you operate SSB, CW or both. First responders get the prime spots.